[COLLECTIONS] comp. 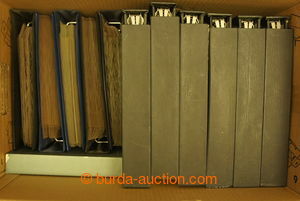 of 7 superb spiral stockbooks Leuchtturm with sheets and průhlednými plastic films for entires (mainly divided on/for middle, ca. 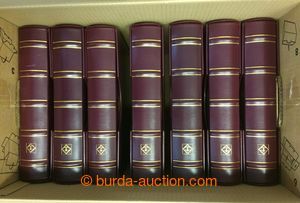 50 pcs of sheets on/for stockbook), 13 ring folder with kazetami in red-purple color; very good condition, nákupní price ca. 25.000CZK, ONLY PERSONAL PICKUP!